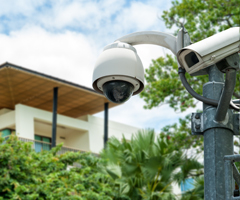 Commercial Security Systems: Protect Your Business! Business owners: how seriously do you take your company's security? 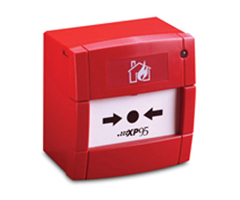 Are your premises alarmed? Do you use cameras to ensure that nothing goes unseen? If you're serious about protecting your business, then it's well worth investing in a comprehensive, top-quality security system. Here at IDS, we supply and install commercial security systems for a wide variety of different businesses; our clients range from small independent retailers and non-profit organisations to large shopping centres, UK government departments, and even HM prisons. No matter what sector you're in and what kind of security system you need, we are the people to call! What Security Systems Can We Provide? When helping you to select the right security system for your business, we'll take a number of important factors into account, including your company size, the location of your premises, and the level of security required. We'll use this information to help us determine the most appropriate solution for you; all of our security systems use the very latest technology, and our 24-hour monitoring and engineering service ensures that you'll never be left vulnerable by a lapse in your security system. Why choose IDS for your commercial security system? Based in Cardiff, IDS Security Systems Ltd. have been supply high-quality security systems to commercial clients throughout England and Wales for over two decades. This experience - combined with our round-the-clock call out service and the state-of-the-art technology that we supply - makes us the perfect choice for practically any brief. Call IDS Security Systems today on 029 20 753 251 or email admin@ids-securityltd.co.uk to discuss your needs with a member of our team.